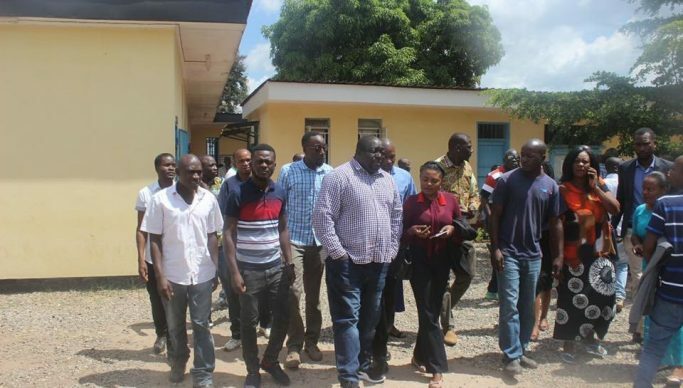 The State has entered a nolle prosequi in a matter in which former Roan Member of Parliament Chishimba Kambwili and 11 others are charged with unlawful assembly. Zambia News & Information Services reports that this was when the matter came up for continued trail in the Luanshya magistrate court this morning before Principal Resident Magistrate Obster Musukwa of Ndola sitting in Luanshya. Before the commencement of trail, State Prosecutor Fannie Tembo informed the court that the State was in receipt of fresh instruction on the matter from the Director of Public Prosecution (DPP) to discontinue the matter against all 12 accused persons by way of nolle prosequi. Before discharging Kambwili and 11 others, magistrate Musukwa asked the State prosecution if the matter had been communicated to the defence team to which both parties , the State and Defence agreed. Magistrate Musukwa there upon discharged the matter against all the 12 persons. Kambwili and 11 AVIC international workers were arrested in November last year for unlawful assembly after the 11 AVIC international workers complained to then Roan Parliamentarian over alleged appalling work conditions among others.